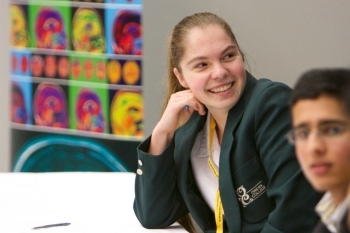 The New Zealand Brain Bee Challenge, launched in 2007, encourages high school students to take an interest in the human brain and neuroscience. 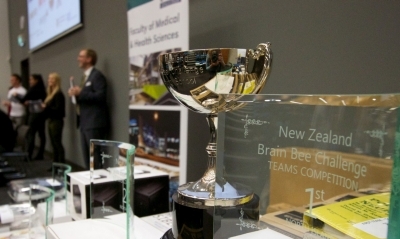 The New Zealand Brain Bee is the regional competition of the Australian Brain Bee Challenge. Our students are making their marks in the International Brain Championships. Also you can learn more about the International Brain Bee Championship by visiting the International Brain Bee website. Information and dates about the 2019 Brain Bee will become available over the coming months. We will announce this through our Facebook page and on this website. If you have registered in previous years you will also be notified by email. Students study from the interactive online materials (see below) and from the textbook if they wish. They complete an on-line quiz in their schools under exam conditions to determine their knowledge and understanding of the structure and function of the brain. Education Perfect administers the Round 1 Quiz. North Island students who score highly in Round One will be invited to take part in Round Two to find the North Island Brain Bee champion. This will be held at the Centre for Brain Research at the University of Auckland on July 3. This fun-filled day will include a team’s and individual quiz, tours of the labs and the AMRF Learning Centre and a ‘meet the scientist’ session. There are lots of great prizes for the winning teams and students, as well as spot prizes. The Round 2 study book is Brain Facts, 2018 Edition by the Society for Neuroscience. In Round 3 the North Island Brain Bee winner goes on to compete against the South Island winner for the title of NZ Brain Bee champion at an event held at the Australasian Neuroscience Society conference in Australia, with the NZ winner going on to compete at the International Brain Bee Competition that has been held in different cities around the world including Washington, Berlin and Copenhagen. Students compete in four challenges, held over two days including an anatomy challenge, a written short answer challenge, a patient diagnosis challenge and a live question and answer challenge. 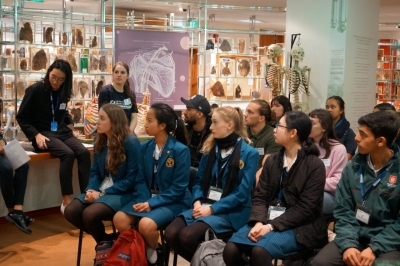 Students also have the opportunity to attend ANS scientific sessions and meet with scientists, researchers and students involved in neuroscience. Round 4 is the International Brain Bee (IBB). The IBB takes place at an international neuroscience/psychology conference and in the past has been held in places such as America, Europe, South Africa, and Australia. Round One Quiz - Open for the whole of March. Entries now closed. For 2019 Round 1 we have new interactive online lesson material, including self-assessment components, developed by experts at the Australasian Neuroscience Society, led by Professor Ramesh Rajan and design specialists at Education Perfect. The new content reduces the requirements for specialist knowledge from support teachers and allows students to move away from the textbook. However, the textbook can still be used as advanced study material. The new online learning lessons cover a select core range of brain functions that students identified as being of the greatest interest to them. A number of questions in the Round 1 Quiz will be selected directly from those used within the online lessons. Students and teachers can get free access. Please note you will need a free teacher login to access the content.